Along with R&L goods, L&G will be at the winter Urban Craft Uprising show in Seattle this weekend! This will be L&G's first show where we'll get to display all our goods!! And boy are we excited about all the new one-off items we'll have! 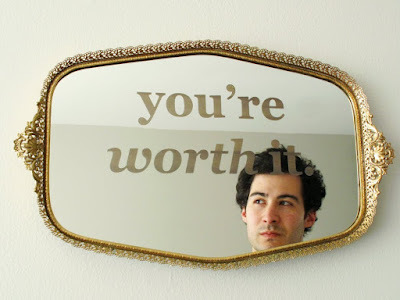 Like our Daily Affirmation vintage mirrors!! 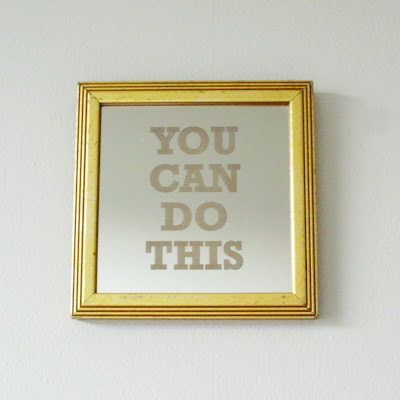 Please go to this post and leave a comment for a L&G givaway of this 7" x 7" "You Can Do This" Daily Affirmation mirrors!